It seems that I’m forever rereading fairy stories for my Throwback Thursdays, but today is not going to be an exception. The only really surprising thing about my topic for this post is that Lady Geek Girl didn’t get to it first. 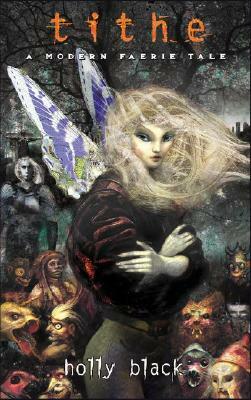 Tithe: A Modern Faerie Tale by Holly Black came out in 2002 and was the formative YA novel of my teenage years. I think I may even say without overstepping that it was the formative novel of my entire friend group. What about it left such an impression? Slight spoilers after the jump.